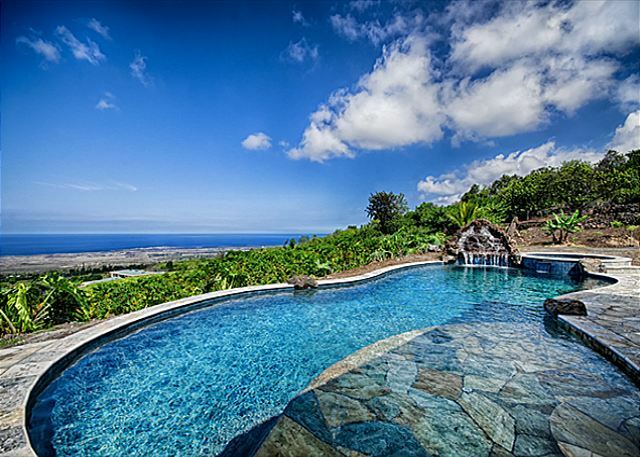 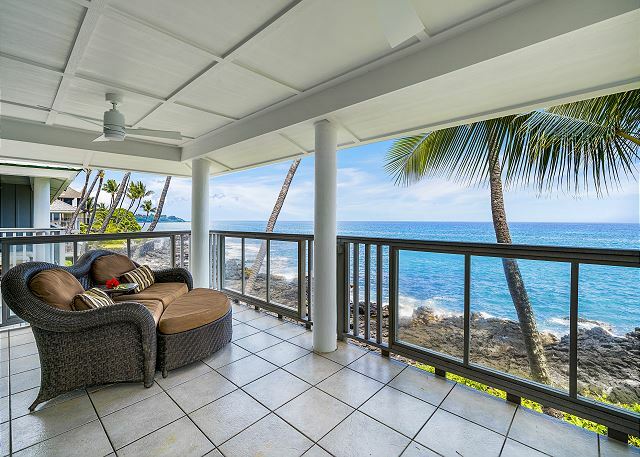 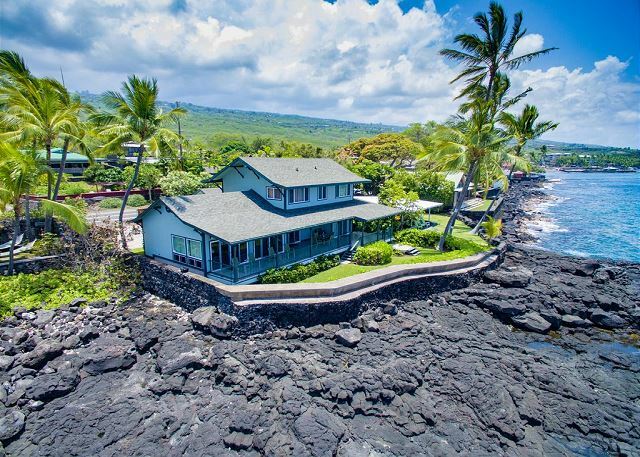 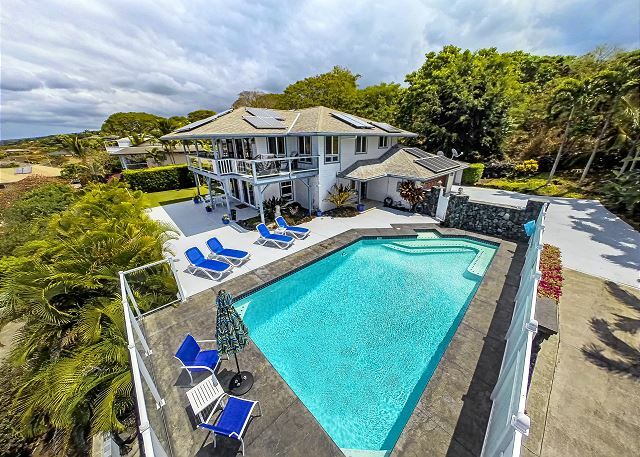 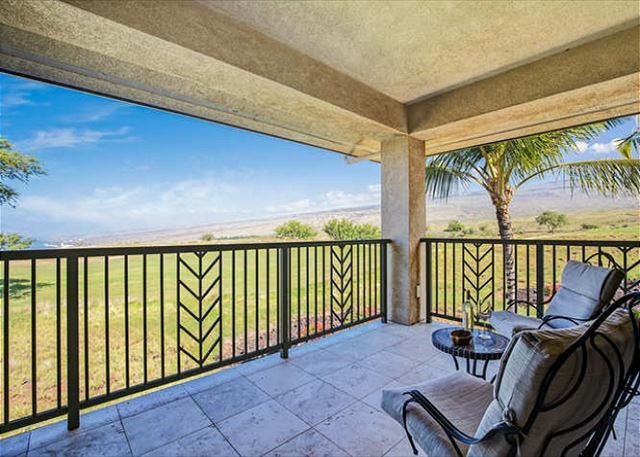 Enjoy unobstructed ocean views and spectacular sunsets from the expansive lanai at this beautiful home right above the town of Kailua Kona. 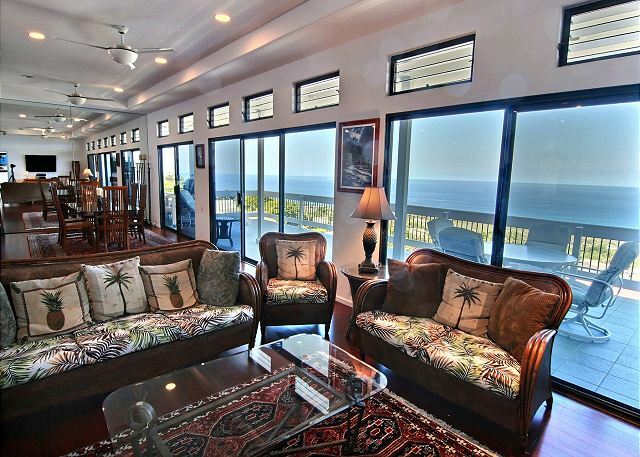 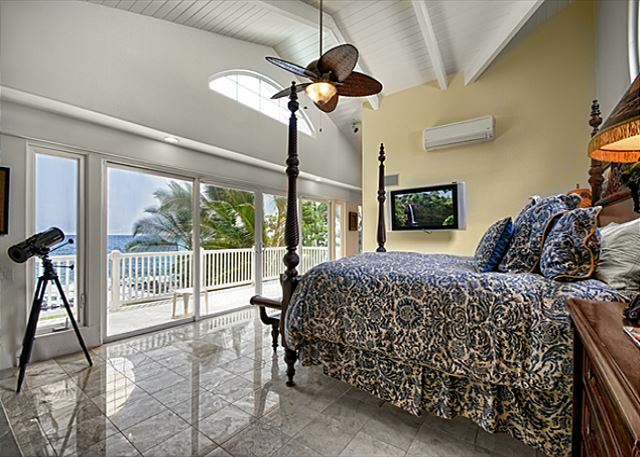 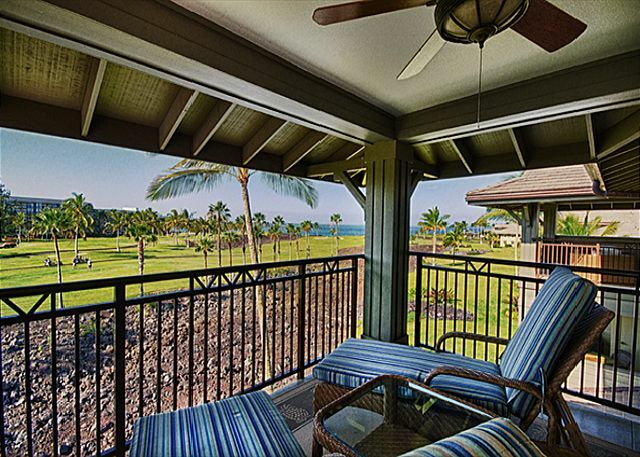 SPECTACULAR OCEANFRONT TOWNHOME - Welcome to Hale Kai O'Kona #7, an Oceanfront Island Home. 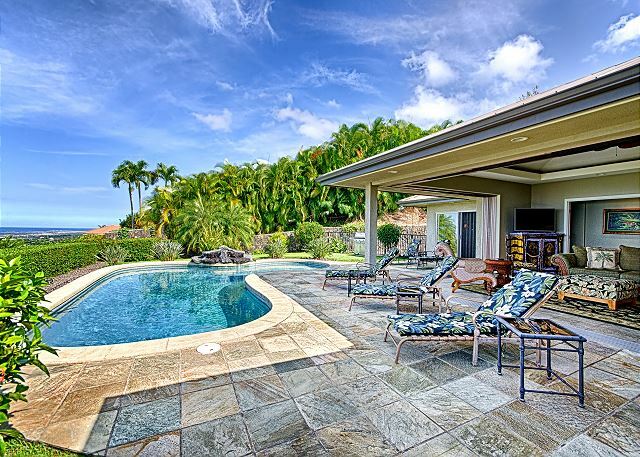 Hale Aikáne a beautiful, single level home located in a small private subdivision at a great elevation featuring spectacular ocean views, solar heated pool and Tommy Bahama décor.